Sooooo ! I Got a new package from Make Over & Lyke Official ! This so dam cute ! i just ca't handle it, i got 1 THE BOSS BABE PALETTE which is a new product from Make Over and i also got 3 ULTRA HI-MATTE LIPSTICK ! Then when you opened it ! Tadaaaa ! This is the reason why this thing called ALL IN ONE PALETTE , karen di dalamnya terdiri dari bedak padat, 6 warna eyeshadow yang cocok untuk natural look, dengan 3 warna shimmer dan 3 warna matte nya, dannnnn 1 blush on. Perfecto in one place ! Cukup cantik pigmentasinya !!! ini aku cuma sekali swatch aja. 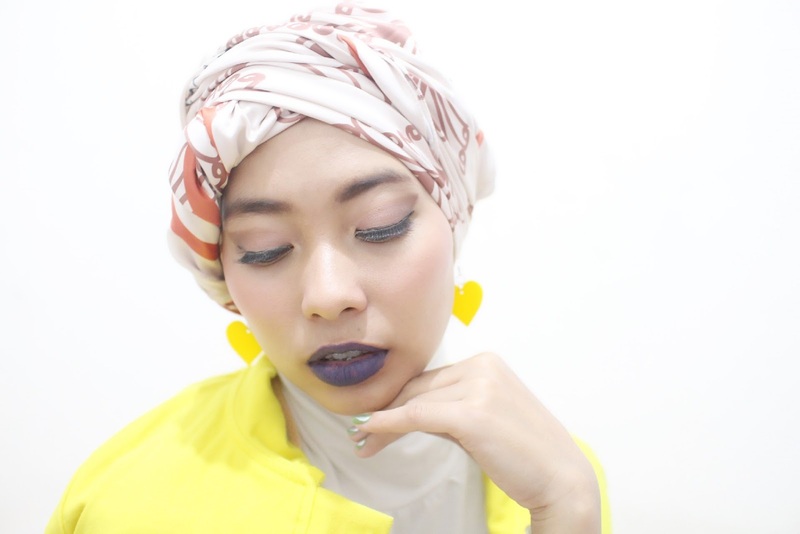 Ini 3 baby aku ULTRA HI-MATTE dengan 3 warnanya Fantasy, Petite, & Phantom. Me trying to make a look with this palette ! Luvvvv the result ! Dan ini khususon buat natural look cocok banget sih. Buat aku ini simple banget dibanding, makeup bag kalian penuh dengan berbagai item makeup gitu. That's All ! Thank you for reading, hope you enjoyed it ! See you on my next blog posting ! WAGELAAAAA BAGUS PARAHHH!!!! Totally obsessed!